Anna Tarner, a junior, has been a member of The Tower for almost a year, and she couldn’t be more happy that she chose to join. Throughout her childhood, Anna participated in almost every activity a child could. Every day was filled up with various sports, clubs, and other things of the sort. Through all of the busy schedules she was able to discover many things about herself. She learned that swimming is her favorite sport because she's too clumsy to join any others, that string instruments are her cup of tea, and that she loves to read and write, which tends to help me her with The Tower. When she was younger she always had her nose in a book, (usually Harry Potter) and the love she has for reading sparked her interest in writing. 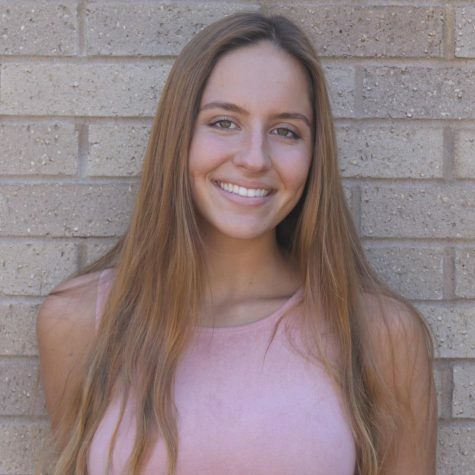 She received several medals in the Scholastic Writing competition in 7th and 8th grade for poems that she wrote, and that really pushed her interest, as she continued to love writing into high school. Here at Adams she has been a part of JAVA, swimming, and now, recycling club. I’m so glad that I became a part of the newspaper family, and I will continue to fight and strive for the greatness that the queen Kaitlyn Radde worked tirelessly to build, nurse, and cradle her baby The Tower into the paper it is today.